Joker is an upcoming American psychological thriller film distributed by Warner Bros. Pictures and based on the DC Comics character Joker. It is intended to be the first in a series of DC-based films separate from the DC Extended Universe (DCEU). The film is directed by Todd Phillips from a screenplay co-written with Scott Silver, and stars Joaquin Phoenix as the Joker, alongside Robert De Niro, Zazie Beetz, Frances Conroy, Marc Maron, Bill Camp, Glenn Fleshler, Shea Whigham, Brett Cullen, Douglas Hodge, and Josh Pais. Set in 1981, Joker follows Arthur Fleck, a failed stand-up comedian who is driven insane and turns to a life of crime and chaos in Gotham City. Development of a standalone Joker film was confirmed in August 2017, after Warner Bros. and DC Films decided to deemphasize the shared nature of the DCEU. Phillips was set to direct, produce, and co-write the script—inspired by Martin Scorsese directed films, such as Taxi Driver, Raging Bull, and The King of Comedy—with Silver. Leonardo DiCaprio was considered to play the Joker before Phoenix became attached to the project in February 2018; he was cast that July, and the majority of the cast had signed on by August. Principal photography began in September 2018, taking place in New York City, Jersey City, and Newark, and concluded the following December. In 1981, a failed stand-up comedian turns to a life of crime and chaos in Gotham City, slowly rising to become a frightening legend. A mentally ill, impoverished stand-up comedian disregarded by society. Phoenix is the fifth actor to portray the Joker in a theatrical film. Prior to his casting, Leonardo DiCaprio had been considered. Phoenix had been interested in a low-budget "character study" of a comic book character and his agent recommended that he set up a meeting with Warner Bros. to discuss, but he ultimately declined. Phoenix later became interested when the project was announced, stating, "It feels unique, it is its own world in some ways, and maybe ... It might as well be the thing that scares you the most". Phoenix lost a considerable amount of weight in preparation. A talk show host who plays a role in Arthur's downfall. De Niro said his role in Joker pays homage to his character from The King of Comedy (1982), Rupert Pupkin, who is a comedian obsessed with a talk-show host. A cynical single mother and Arthur's love interest. Beetz, a "huge fan" of Phoenix, said it was "an honor" to work with him. Frances Conroy as Penny Fleck: Arthur's mother. Bill Camp as an officer in the Gotham City Police Department (GCPD). Shea Whigham as an officer in the GCPD. A billionaire philanthropist running for mayor of Gotham. Unlike the source material, he plays a role in the Joker's origins and is less sympathetic than traditional incarnations. Alec Baldwin was initially cast in the role, but dropped out due to scheduling conflicts. Douglas Hodge as Alfred Pennyworth: The butler and caretaker of the Wayne family. 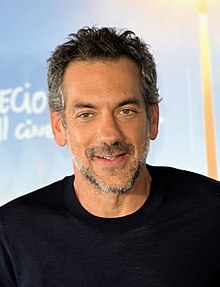 Dante Pereira-Olson as Bruce Wayne: The young son of Thomas Wayne, who, in his adulthood, becomes a masked vigilante and the Joker's archenemy Batman. Additionally, Josh Pais has been cast in an undisclosed role. Between 2014 and 2015, Joaquin Phoenix was interested in acting in a low-budget "character study"-type film about a comic book villain like the Joker. Phoenix had previously declined to act in the Marvel Cinematic Universe because he would have been required to play the roles he was offered, like the Hulk and Doctor Strange, in multiple films. He did not believe his idea for a film should cover the Joker, however, as he believed that character had been depicted in a similar way before, and tried to think of a different one. Phoenix's agent suggested setting up a meeting with Warner Bros., but he declined. After the successful release of Wonder Woman (2017), DC Films decided to deemphasize the shared nature of its DC Comics-based film franchise, the DC Extended Universe (DCEU). DC Entertainment president Diane Nelson stated, "Our intention, certainly, moving forward is using the continuity to help make sure nothing is diverging in a way that doesn't make sense, but there's no insistence upon an overall story line or interconnectivity in that universe... Moving forward, you'll see the DC movie universe being a universe, but one that comes from the heart of the filmmaker who's creating them." In August 2017, Warner Bros. and DC Films revealed plans for a Joker film separate from the DCEU, with Todd Phillips directing and co-writing with Scott Silver, and Martin Scorsese co-producing with Phillips. The script draws inspiration from Scorsese's films Taxi Driver (1976), Raging Bull (1981), and The King of Comedy (1983), as well as Alan Moore and Brian Bolland's graphic novel Batman: The Killing Joke (1988). The announcement of the film was met with mixed reactions and caught Jared Leto, who portrays the Joker in the DCEU, off-guard. By September 2017, Warner Bros. was considering casting Leonardo DiCaprio as the Joker, hoping to use his frequent collaborator Scorsese's involvement to lure him, but by February 2018, Phoenix was Phillips' top choice for the role. Padraig Cotter of Screen Rant noted that since the film was a standalone story, Phoenix would not have to appear in sequels like he would have in the Marvel offer. Indeed, Phoenix said when he learned of the film, he became excited because it was the kind of film he was looking to make, describing it as unique and stating it did not feel like a typical "studio movie". Following the disappointing critical and financial performance of Justice League (2017), Walter Hamada replaced Jon Berg as the head of DC-based film production at Warner Bros. Hamada sorted through the various DC films in development, canceling some while advancing work on others. The Joker film was expected to begin filming in late 2018 with a budget of $55 million, "a fraction" of the usual budget for a comic book-based film. The deal with Phoenix was finalized in July 2018. 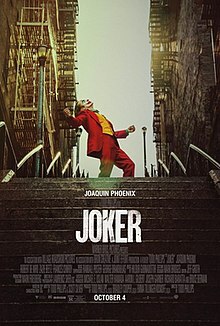 On July 10, 2018, immediately after Phoenix was cast, Warner Bros. officially green-lit the film, titled it Joker, and gave it an October 4, 2019 release date. Warner Bros. described the film as "an exploration of a man disregarded by society [that] is not only a gritty character study, but also a broader cautionary tale". Emma Tillinger Koskoff joined to produce through Scorsese's company Sikelia Productions. Scorsese left his producing duties due to other obligations, but was later revealed to be an executive producer alongside Richard Baratta. It was also confirmed that the film would have no effect on Leto's Joker and it was expected to be the first in a new series of DC films unrelated to the DCEU. Warner Bros. was also aiming for an R-rating from the Motion Picture Association of America. The same month, Robert De Niro and Zazie Beetz were being eyed for supporting roles. Beetz was cast, and De Niro entered negotiations a month later. Frances McDormand declined an offer to portray the mother of the Joker, and Frances Conroy was in talks for the role. At the end of July, Marc Maron, who had recently finished filming the third season of the web television series Glow, and Bryan Callen joined the cast. Alec Baldwin was cast as Thomas Wayne on August 27, but dropped out two days later due to scheduling conflicts. Production began on September 2, 2018. Principal photography commenced on September 10, 2018 in New York City, under the working title Romeo. Shortly after filming began, De Niro, Brett Cullen, Shea Whigham, Glenn Fleshler, Bill Camp, Josh Pais, and Douglas Hodge were announced to have joined the film, with Cullen replacing Baldwin. Bradley Cooper also joined the film as a producer. The director of photography was Lawrence Sher, with whom Phillips had previously collaborated with for his Hangover films. On September 22, a scene depicting a violent protest took place in Brooklyn, although the station was modified to look like Bedford Park Blvd. In late September 2018, filming of robbery scenes took place at the First Central Savings Bank in Astoria, Queens. According to Beetz, Phillips rewrote the entire script during production; because Phoenix lost so much weight for the film, there would not be an opportunity for reshoots. She recalled: "we would go into Todd’s trailer and write the scene for the night and then do it. During hair and makeup we’d memorize those lines and then do them and then we’d reshoot that three weeks later." Production moved to New Jersey afterward. Filming in Jersey City started on September 30 and shut down Newark Avenue, while filming in November (starting on November 9) shut down Kennedy Boulevard. Filming in Newark began on October 13 and lasted until October 16. Shortly before filming in Newark began, SAG-AFTRA received a complaint that extras were locked in subway cars for more than three hours during filming in Brooklyn, a break violation. However, the issue was quickly resolved after a representative visited the set. That month, Dante Pereira-Olson and Douglas Hodge joined the cast. Whigham said towards the end of October the film was in "the middle" of production, adding that it was an "intense" and "incredible" experience. By mid-November, filming had moved back to New York. Filming wrapped on December 3, 2018, with Phillips posting a picture on his Instagram feed later in the month to commemorate the occasion. Phillips confirmed he was in the process of editing Joker in March 2019. At CinemaCon the following month, he stated the film was "still taking shape" and said it was difficult to discuss, as he hoped to maintain secrecy. Phillips also stated that most reports surrounding the film were inaccurate, which he felt was because it is "an origin story about a character that doesn't have a definitive origin." Brian Tyree Henry was also confirmed to have a role in the film. The visual effects were provided by Scanline VFX and Shade VFX, supervised by Matthew Giampa, Bryan Godwin, with Erwin Rivera serving as the overall supervisor. In August 2018, Hildur Guðnadóttir was hired to compose the film's score. Phillips has promoted the film by posting set photos on his Instagram feed. On September 21, 2018, he released test footage of Phoenix in-costume as the Joker, with "Laughing" by The Guess Who accompanying the footage. At CinemaCon on April 2, 2019, Phillips unveiled a teaser trailer for the film, which was released online the following day. The trailer, prominently featuring the song "Smile" performed by Jimmy Durante, generated positive responses, with some commentators comparing it to Taxi Driver and Requiem for a Dream and praising Phoenix's performance. Writers described the trailer as dark and gritty, with ComicBook.com's Jenna Anderson feeling it was more like a psychological thriller than a comic book film. Mark Hamill, who has voiced the Joker since the 1992 television series Batman: The Animated Series, expressed enthusiasm in a Twitter post. Conversely, io9's Germain Lussier said the trailer revealed too little and that it was too similar to photos Phillips posted on Instagram. While he still felt it exhibited potential, Lussier overall thought the trailer was not "a home run." The trailer received over eight million views in the first few hours of release. Joker is scheduled to be released by Warner Bros. Pictures on October 4, 2019. In contrast to modern comic book films, Joker is intended to be a standalone story with no planned sequels. However, Warner Bros. intends for the film to launch a new line of DC Comics-based films unrelated to the DCEU with darker, more experimental material, similar to comic imprints such as Elseworlds. ^ a b c Kit, Borys (June 13, 2018). "Warner Bros. Shifts DC Strategy Amid Executive Change-Up". The Hollywood Reporter. Retrieved June 15, 2018. ^ a b c d Chitwood, Adam (October 22, 2018). "Exclusive: 'Joker' Actor Shea Whigham Reveals Who He Plays, Teases Unique Filming Experience". Collider. ^ a b c d e Ashurst, Sam; Chapman, Matt (April 3, 2019). "Joaquin Phoenix's Joker film release date, plot, cast, trailer and everything you need to know". Digital Spy. Retrieved April 9, 2019. ^ Snyder, Chris; Phillips, Ian (April 9, 2019). "Everything you missed in the first 'Joker' teaser trailer". Business Insider. Retrieved April 9, 2019. ^ a b c d "Production is Underway on Warner Bros. Pictures' "Joker"". Business Wire. September 17, 2018. Retrieved September 18, 2018. ^ "The Joker: Joaquin Phoenix and the many faces of Gotham's most wanted". BBC. September 17, 2018. Retrieved September 18, 2018. ^ a b c Masters, Kim; Kit, Borys (September 1, 2017). "The Joker Movie: Warner Bros. Wants Class, Cachet and Maybe Leonardo DiCaprio". The Hollywood Reporter. Retrieved September 5, 2017. ^ a b c d Weintraub, Steve (July 12, 2018). "Exclusive: Joaquin Phoenix on His "Unique" Joker Movie and Why It Scares Him". Collider. Retrieved September 17, 2018. ^ Stone, Sam (September 1, 2018). "Joaquin Phoenix Sheds Weight Ahead of Joker Movie Role". Comic Book Resources. Retrieved September 18, 2018. ^ a b Kohn, Eric (April 3, 2019). "'Joker': Robert De Niro Addresses the Connection Between His Character and 'King of Comedy'". IndieWire. Retrieved April 3, 2019. There's a connection, obviously, with the whole thing. But it's not as a direct connection as the character I'm playing being Rupert many years later as a host. ^ a b Kit, Borys (July 23, 2018). "Robert De Niro in Talks to Join Joaquin Phoenix in Joker Movie (Exclusive)". The Hollywood Reporter. Retrieved July 24, 2018. ^ a b c Hood, Cooper (August 10, 2018). "Zazie Beetz's Role in Joker Revealed". Screen Rant. Retrieved September 17, 2018. ^ a b Kit, Borys (July 19, 2018). "'Joker' Movie: 'Deadpool 2' Actress Zazie Beetz in Talks to Join Joaquin Phoenix (Exclusive)". The Hollywood Reporter. Retrieved July 21, 2018. ^ Anderson, Jenna (September 18, 2018). "Zazie Beetz is Excited to Be Working With Joaquin Phoenix on 'Joker' Movie". ComicBook.com. Retrieved September 19, 2018. ^ a b Gonzalez, Umberto; Verhoeven, Beatrice (July 24, 2018). "'Joker': Frances Conroy in Talks to Play Mom to Joaquin Phoenix's Joker in 'Batman' Spinoff (Exclusive)". TheWrap. Retrieved July 24, 2018. ^ a b Kroll, Justin (July 31, 2018). "Joaquin Phoenix's Joker Movie Eyes 'Glow' Star Marc Maron (EXCLUSIVE)". Variety. Retrieved July 31, 2018. ^ a b Trendell, Andrew (March 26, 2019). "Marc Maron tells us about working on Joaquin Phoenix's upcoming 'Joker' origin movie". NME. Retrieved April 1, 2019. ^ a b Anderson, Jenna (July 31, 2018). "Bryan Callen Cast in 'Joker' Origin Movie". ComicBook. Retrieved August 1, 2018. ^ Anderson, Jenna (September 23, 2018). "'Joker' Set Photo Reveals Thomas Wayne's Political Ambitions". ComicBook.com. Retrieved September 26, 2018. ^ Davis, Brandon (September 17, 2018). "Brett Cullen Cast as Thomas Wayne in 'The Joker'". ComicBook.com. Retrieved September 18, 2018. ^ a b Stedman, Alex (August 29, 2018). "Alec Baldwin Drops Out of 'Joker' Movie". Variety. Retrieved September 17, 2018. ^ Kit, Borys (August 27, 2018). "'Joker' Movie: Alec Baldwin to Play Bruce Wayne's Father". The Hollywood Reporter. Retrieved September 17, 2018. ^ a b Couch, Aaron (October 23, 2018). "Joker' Finds Its Young Bruce Wayne and Alfred Pennyworth". The Hollywood Reporter. Retrieved October 23, 2018. ^ E. Hayner, Chris (September 20, 2018). "The Joker Movie Casts A New Thomas Wayne After Alec Baldwin Quit". GameSpot. Retrieved September 26, 2018. ^ a b c d Anderson, Jenna (April 2, 2019). "First 'Joker' Trailer Debuts at CinemaCon". Comicbook.com. ^ Francisco, Eric (September 20, 2018). "Joaquin Phoenix's 'Joker' Movie Set Photos Show an Aging Stripper Character". Inverse. Retrieved September 24, 2018. ^ a b Cotter, Padraig (March 7, 2018). "Joaquin Phoenix Doesn't Regret Passing on MCU Movie Roles". Screen Rant. Retrieved September 22, 2018. ^ a b Jr, Mike Fleming (August 22, 2017). "The Joker Origin Story On Deck: Todd Phillips, Scott Silver, Martin Scorsese Aboard WB/DC Film". Deadline Hollywood. Retrieved August 23, 2017. ^ Kroll, Justin (February 8, 2018). "Joaquin Phoenix in Talks to Play the Joker in Todd Phillips' Standalone Movie (EXCLUSIVE)". Variety. Retrieved June 15, 2018. ^ Lang, Brent (January 4, 2018). "Warner Bros. Taps Walter Hamada to Oversee DC Films Production (EXCLUSIVE)". Variety. Retrieved September 29, 2018. ^ a b Kroll, Justin (July 10, 2018). "Joaquin Phoenix's 'Joker' Movie Gets the Greenlight, Will Shoot in the Fall". Variety. Retrieved September 18, 2018. ^ Kit, Borys (July 10, 2018). "Joaquin Phoenix's Joker Origin Movie a Go at Warner Bros". The Hollywood Reporter. Retrieved July 11, 2018. ^ Hood, Cooper (July 18, 2018). "Joker Origin Movie Title & Release Date Officially Revealed". Screen Rant. Retrieved September 16, 2018. ^ a b c D'Alessandro, Anthony (July 10, 2018). "Todd Phillips' 'Joker' Movie Heading Into Production This Fall With Joaquin Phoenix". Deadline. Retrieved July 11, 2018. ^ "Joker trailer, release date, cast, news and more". Den of Geek!. April 3, 2019. Retrieved April 15, 2019. ^ Mancuso, Vinnie (September 23, 2018). "Joaquin Phoenix Terrorizes a Subway Platform in 'Joker' Set Video". Collider. Retrieved September 24, 2018. ^ Yang, Rachel (September 21, 2018). "See Joaquin Phoenix in Joker Makeup". Variety. Retrieved September 21, 2018. ^ Anderson, Jenna (August 8, 2018). "'Joker' Origin Movie Rumored to Be Targeting R-Rating". ComicBook.com. Retrieved September 20, 2018. ^ Erao, Matthew (June 18, 2018). "Joker Origin Film Reportedly Wants Robert De Niro For Supporting Role". ScreenRant. Retrieved July 18, 2018. ^ Mueller, Matthew (July 13, 2018). "Frances McDormand Turns Down Role in Joker Origin Movie". Comic Book. Retrieved July 21, 2018. ^ Drum, Nicole (September 2, 2018). "'Joker' Director Todd Phillips Teases Production With New Photo". ComicBook.com. Retrieved September 18, 2018. ^ a b MacDonald, Terrence T. (September 21, 2018). "'Joker,' Joaquin Phoenix film about Batman nemesis, to film in N.J. locations". NJ.com. Retrieved September 21, 2018. ^ "Joaquin Phoenix All Smiles as The Joker in Action". TMZ. September 22, 2018. Retrieved October 1, 2018. ^ Marc, Christopher (September 22, 2018). "EXCLUSIVE: 'Joker' Possibly Shooting A Bank Robbery Scene Tomorrow - GWW". thegww.com. Retrieved October 3, 2018. ^ Mancuso, Vinnie (January 26, 2019). "Todd Phillips Rewrote Joaquin Phoenix's 'Joker' During Production". Collider.com. Retrieved January 27, 2019. ^ McNary, Dave (October 10, 2018). "'Joker' Movie Extras Reportedly Denied Break, Locked in Subway Cars". Variety. Retrieved October 23, 2018. ^ Smith, Nigel (November 19, 2018). "Joaquin Phoenix Sprints Through the Streets of New York City as He Films The Joker". People. Retrieved November 20, 2018. ^ Anderson, Jenna (December 3, 2018). "Joaquin Phoenix's 'Joker' Wraps Production". ComicBook.com. Retrieved December 4, 2018. ^ Chitwood, Adam (December 18, 2019). "'Joker' Wraps Filming as Todd Phillips Shares One Final Set Photo". Collider. Retrieved April 3, 2019. ^ Jones, Adrienne (March 22, 2019). "Todd Phillips Releases Moody New Joker Image, Confirms Editing Is Underway". CinemaBlend. Retrieved April 2, 2019. ^ a b Couch, Aaron (April 2, 2019). "'Joker' Brings Creepy First Trailer to CinemaCon". The Hollywood Reporter. Retrieved April 2, 2019. ^ D'Alessandro, Anthony; Tartaglione, Nancy (April 2, 2019). "'Joker': Joaquin Phoenix's Ultradark Villain Surfaces Retro-Style In CinemaCon Sneak Peek". Deadline Hollywood. Retrieved April 2, 2019. ^ "JOKER - The Art of VFX". www.artofvfx.com. Retrieved April 4, 2019. ^ "Hildur Gudnadottir to Score Todd Phillips' 'Joker' Origin Movie". Film Music Reporter. August 23, 2018. Retrieved August 28, 2018. ^ Shanley, Patrick (September 16, 2018). "Joaquin Phoenix's Joker Unveiled in First-Look Photo". The Hollywood Reporter. Retrieved September 18, 2018. ^ Patches, Matt (September 21, 2018). "Joaquin Phoenix's Joker makeup revealed in behind-the-scenes footage". Polygon. Retrieved September 21, 2018. ^ Sandwell, Ian (April 2, 2019). "Joker's first trailer is coming tomorrow". DigitalSpy. Retrieved April 2, 2019. ^ Peters, Megan (April 3, 2019). "'Joker' Trailer Draws In Rave Reactions". ComicBook.com. Retrieved April 4, 2019. ^ Sharf, Zack (April 2, 2019). "Joker' First Trailer Stuns CinemaCon, Critics Compare Footage to 'Taxi Driver' and 'Requiem for a Dream'". IndieWire. Retrieved April 2, 2019. ^ Rubin, Rebecca; Lang, Brent (April 2, 2019). "Joaquin Phoenix 'Joker' Footage Debuts at CinemaCon". Variety. Retrieved April 2, 2019. ^ Mark Hamill [@HamillHimself] (April 3, 2019). "A diabolically delicious character + a superb actor + a brilliant writer/director = YES PLEASE!!! 🃏" (Tweet). Archived from the original on April 12, 2019. Retrieved April 12, 2019 – via Twitter. ^ Galanis, Evangelia (April 4, 2019). "Joker: Mark Hamill Weighs in on Joaquin Phoenix's Chilling Trailer". Comic Book Resources. Retrieved April 4, 2019. ^ Lussier, Germain (April 2, 2019). "We Just Got Our First Look at Footage of Joaquin Phoenix in DC's Joker". io9. Retrieved April 2, 2019. ^ Cashmere, Paul (April 4, 2019). "Joker Trailer Clocks Up Over 8 Million Views in a few hours". Noise11. Retrieved April 4, 2019. ^ McClintock, Pamela; Kit, Borys (June 18, 2018). "'Joker' Origin Movie Lands Fall 2019 Release Date". The Hollywood Reporter. Retrieved July 18, 2018. ^ Schaefer, Sandy (June 13, 2018). "DC's Non-DCEU Movie Label May Be Called DC Dark or DC Black". Screen Rant. Retrieved April 1, 2019.